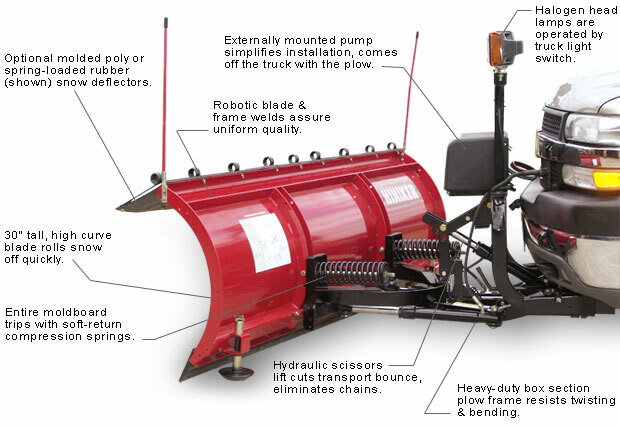 Take a professional approach to snow removal! 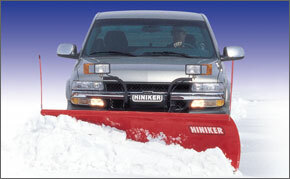 Hiniker Snowplows use box section frames and heavily reinforced moldboards for strength and durability. 30 inch tall high-curve moldboards move heavy snowfalls quickly. Our hydraulic scissors lift reduces transport bounce and bang. Convenient compact joystick controls can be mounted anywhere or held in the palm of your hand. And the Hiniker Quick-Hitch mounting system is one system that truly lives up to its name. Count on Hiniker’s proven performance—the professionals choice! Hiniker’s optional Box Ends decrease spillage and increase removal capacity. Attachment is fast and easy.